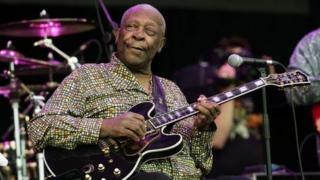 Blues guitarist BB King has told fans he is receiving hospice care at his home following a short stay in hospital. The 89-year-old has lived with type II diabetes for more than 20 years, and has had several spells in hospital in recent months. A message on his website said: "I am in home hospice care at my residence in Las Vegas. "Thanks to all for your well wishes and prayers." Known for such hits as The Thrill is Gone and Every Day I Have the Blues, he had been touring up until last year. But he was forced to cancel the remainder of a tour last October when he fell ill during a show, and was later diagnosed with dehydration and exhaustion.